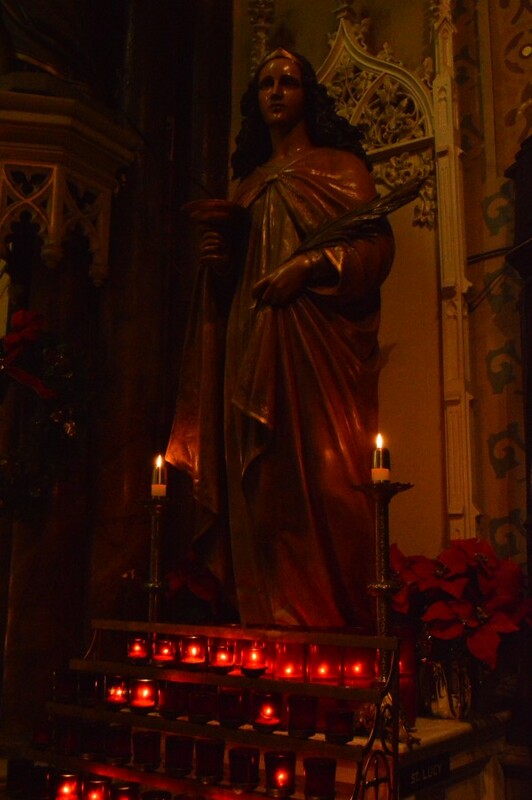 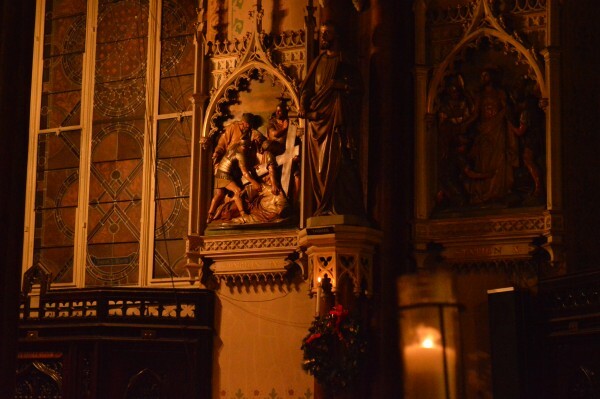 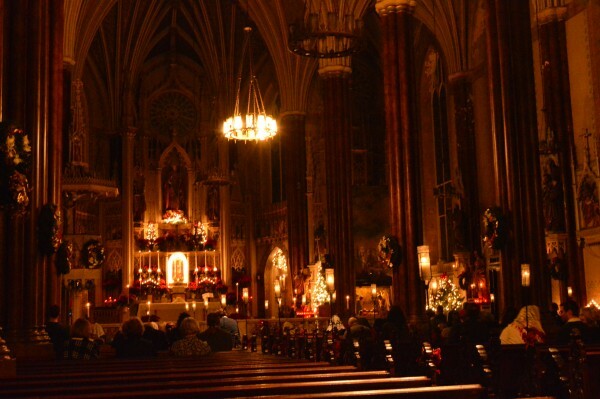 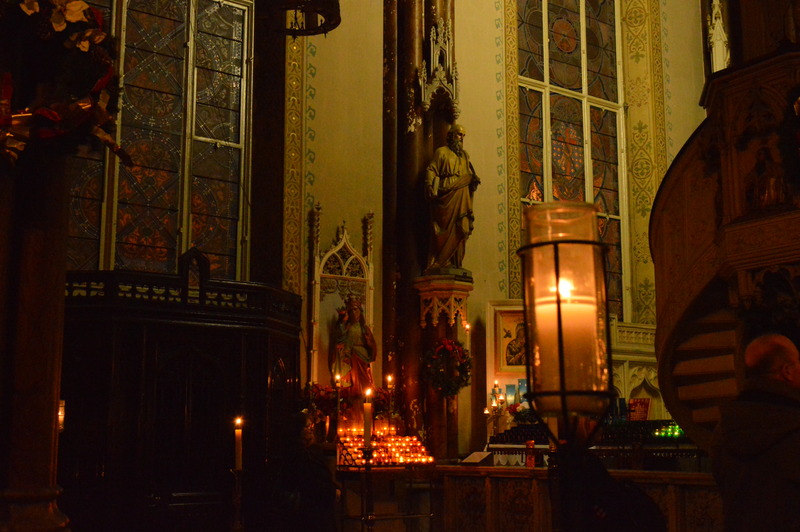 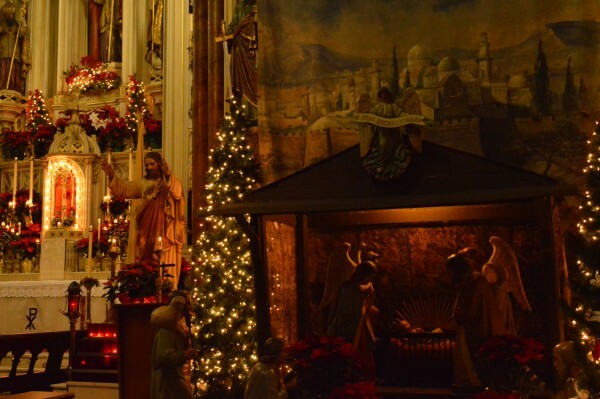 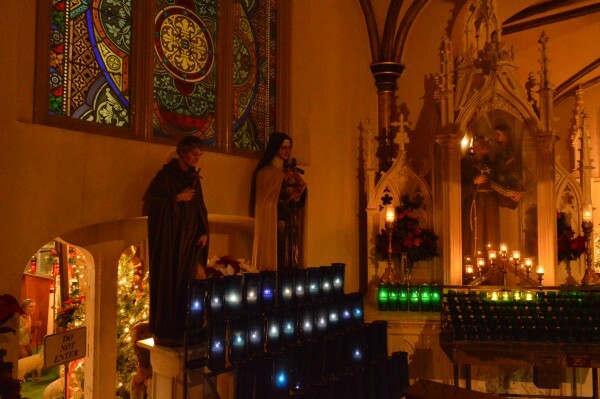 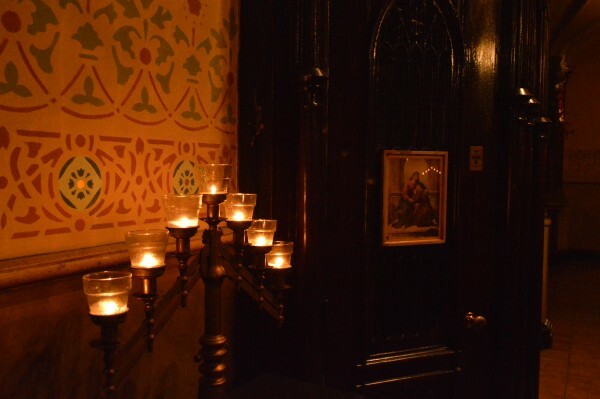 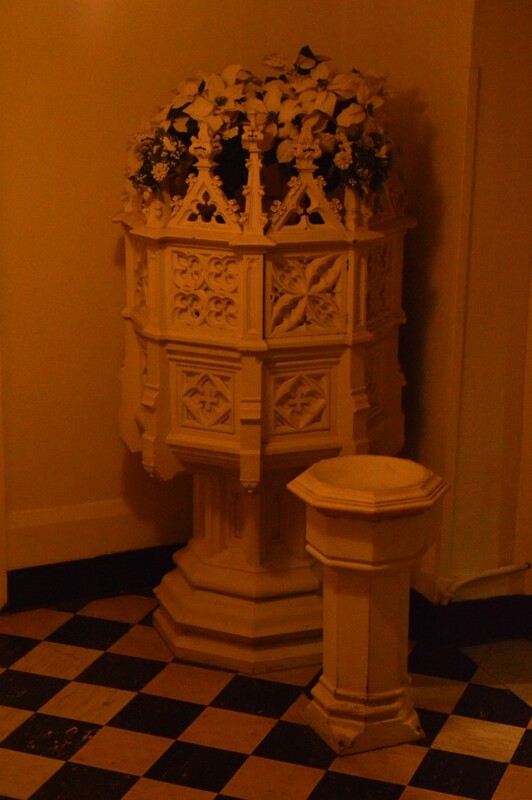 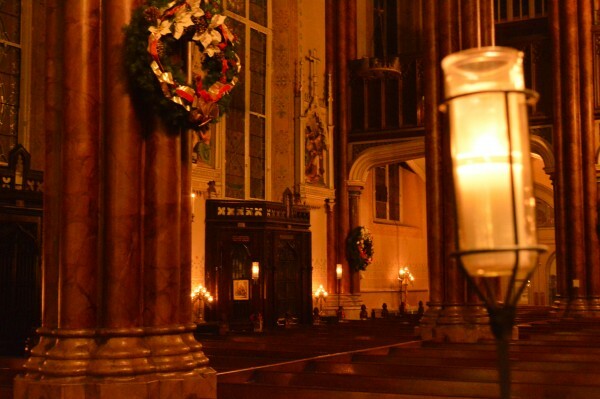 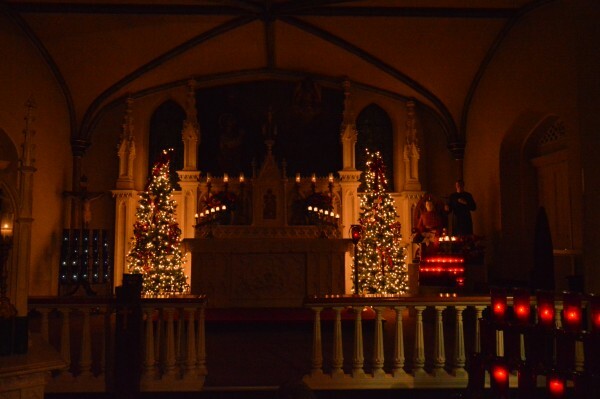 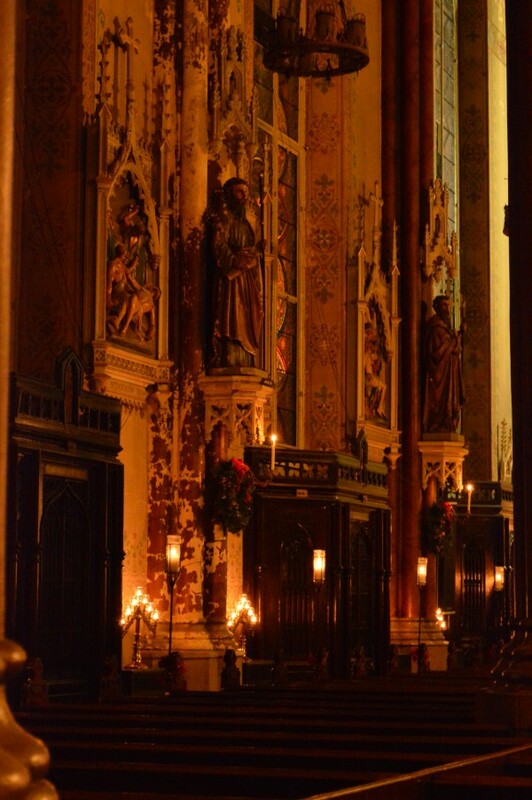 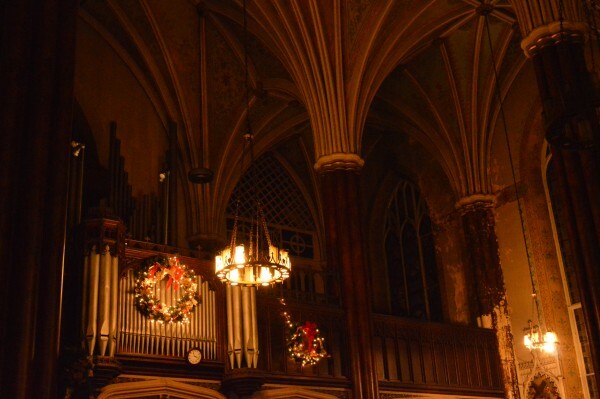 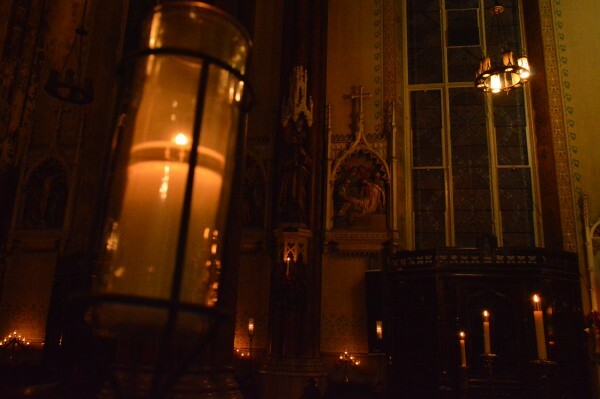 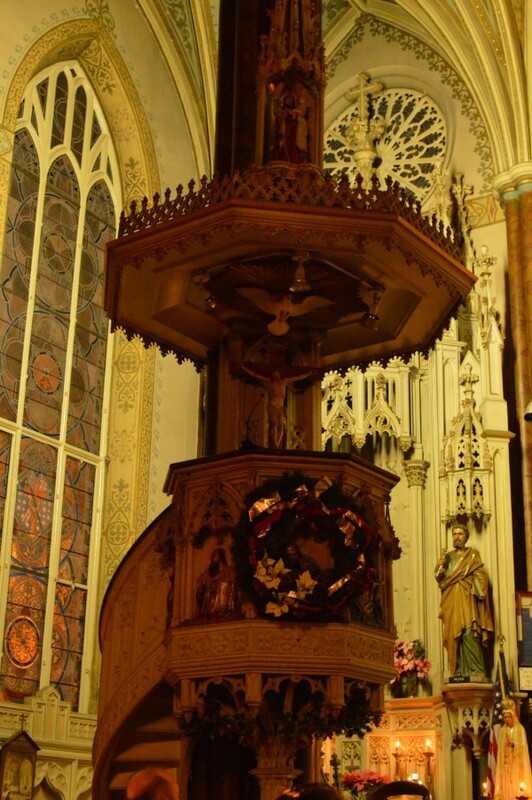 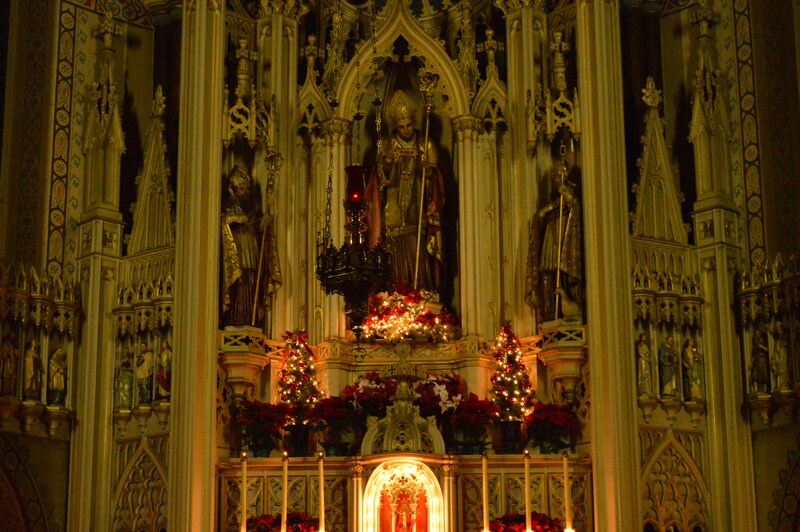 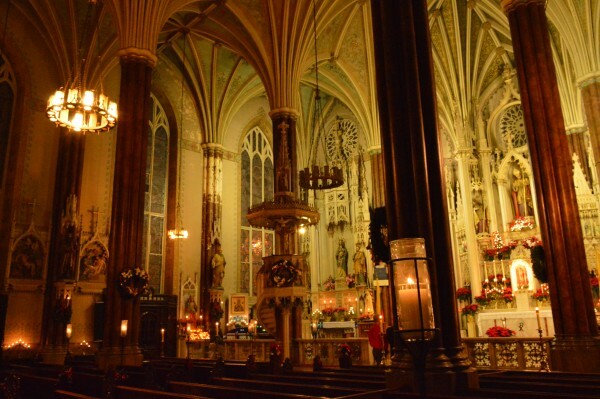 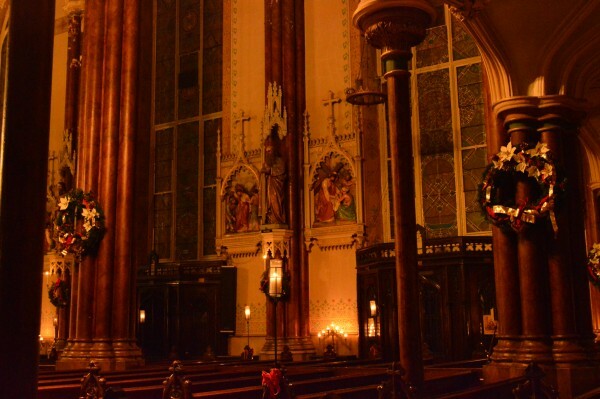 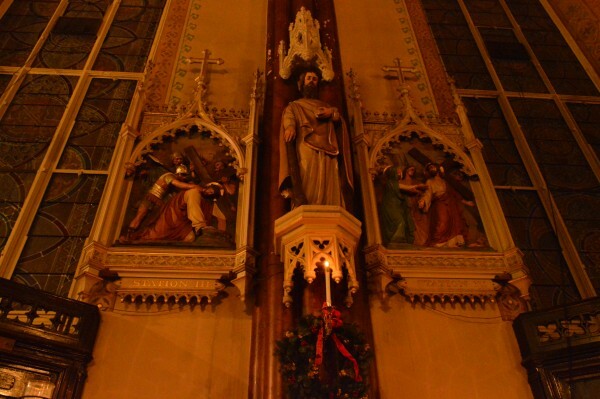 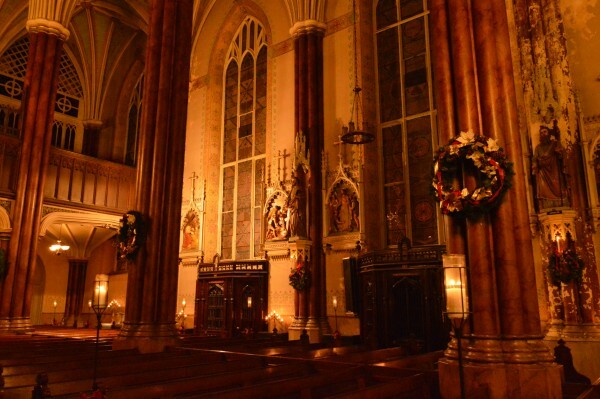 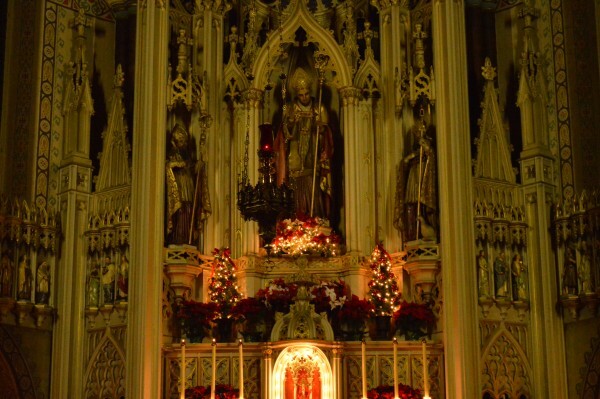 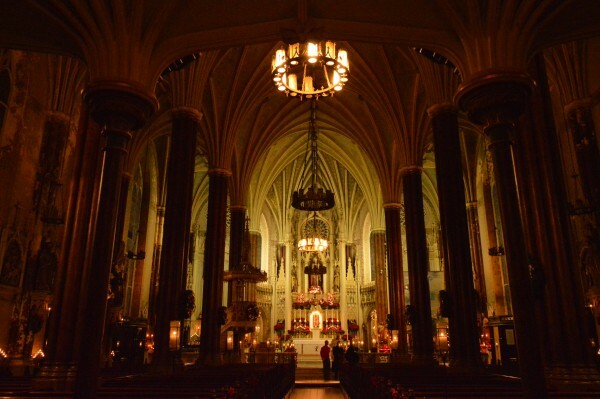 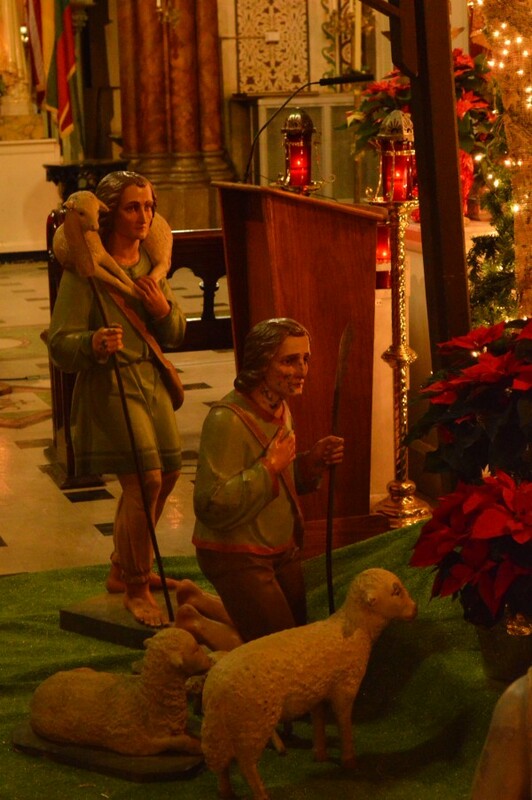 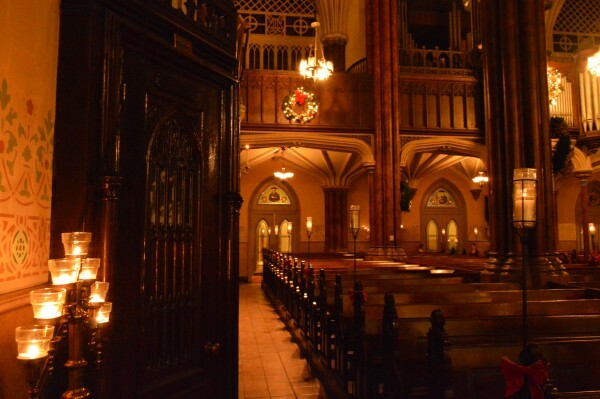 On Saturday evening, December 26, St. Alphonsus Church in Baltimore hosted a Christmas week candlelight Mass followed by a tour of its beautiful Southern German neo-Gothic style sanctuary. 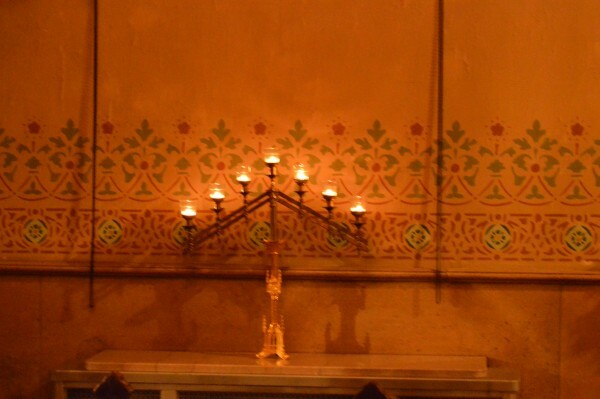 The relaxed tour, which focused on some of the unique aspects of the church, was led by Deacon Hugh Mills. 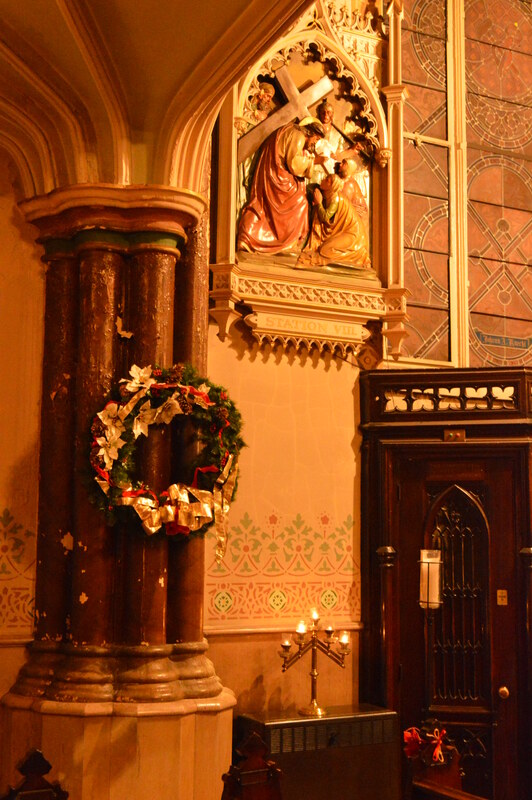 Parish Pastor Monsignor Arthur W. Bastress reminded the faithful during a brief homily that for the first several decades after the church’s completion in 1845, evening services in the stately sanctuary would have been held by candlelight.